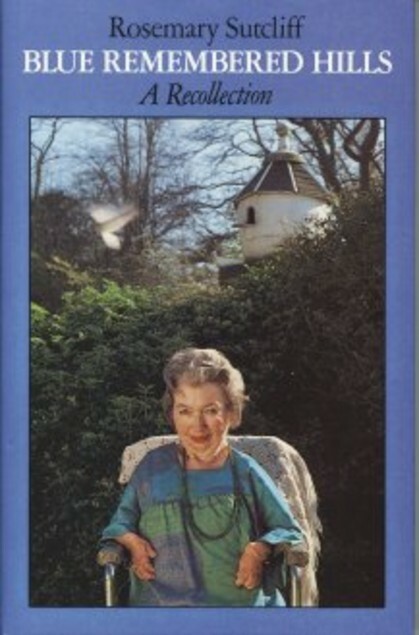 After dragging it out as long as I could, I have finally finished reading Blue Remembered Hills by Rosemary Sutcliff. Sutcliff’s memoir of her childhood and early adulthood is delightfully-written but cruelly slim. I rationed myself, reading only little bits at a time, trying to savour the treat as long as possible. I should admit now that I’ve never read any of Sutcliff’s historical novels, which is bizarre. I am not sure how we never crossed paths during my historical fiction-crazed childhood but we did not and so this was my first introduction to her. I can’t imagine a better one. The danger of childhood memoirs is always that they might descend into that treacly swamp of sentimentality that can only leave the reader feeling queasy and the author, one hopes, embarrassed. This is decidedly not one of those memoirs. Sutcliff is affectionate in her remembrances but never boringly nostalgic for days gone by or pitying for the circumstances she faced. She has a marvellous sense of humour and wonderful eye for detailing, making the reader feel part of the episodes she shares with us. Born in 1920, Sutcliff was the daughter of a naval lieutenant and, with the exception of long hospital visits, spent much of her childhood surrounded by other naval families, both in Malta and the UK. She developed Still’s Disease (a crippling and painful form of juvenile arthritis) as a toddler, and though her disability and the pain made her life different from most children’s, she does not dwell on these differences. As a child, she was determined to live as normally as possible, when not in hospitals or nursing homes. 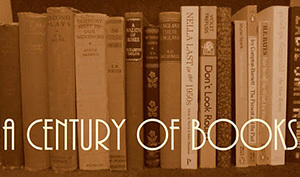 …I still had my inability to read. My father now joined the battle, and had small serious talks with me. ‘Yes, Daddy,’ said I. Polite but unconvinced. He resorted to bribery. I longed to model things. He bought me a box of ‘Barbola’ modelling clay with all its accompanying paraphernalia, and promised me I should have it when I could read. ‘You can’t go on like this for ever!’ he said. ‘No, Daddy,’ I agreed. I had every intention of going on like it for ever. The book follows Sutcliff from her childhood into her twenties, when she worked as an artist before becoming a writer. This period includes a detailed account of her first painful love affair with a dashing young officer who, though delighted with Rosemary as a platonic soul mate, had no idea of marrying her. Not an easy experience for her to live through but an interesting and valuable one that helped her to grow up and helped her along her way to becoming a writer. I’m not quite sure what I expected going into this but this exceeded my expectations in every way. Sutcliff writes so warmly and affectionately of the people that formed her that you can’t help but feel you have missed out by not having known them yourself and her enthusiasm for life and new experiences is wonderful to behold. A charming book and one that, delightfully, is readily available from Slightly Foxed, who have an unerring talent for picking perfect books. I’ve never read any of her novels, either – and I can’t figure out how that happened. I loved this book. My edition has a picture of her as a child on the cover, and I never fully understood the effects of the disease until quite late in the book, when I saw one of the pictures. I’ve got the three “Eagle” books on the TBR stacks now – I need to get to them. I knew nothing about Still’s Disease before reading this either so it was interesting to learn about it from Sutcliff. I enjoyed your post/review (and have referred to it at http://www.rosemarysutcliff.com). Better late than never to come to some of the other books, I would say—but then I would wouldn’t I, as the blog-website makes clear, for I am a relative of RS. I’m glad you enjoyed the review. Thank you for linking to it. It’s so strange that I passed them by as a kid because they were definitely there at both the public library and the school library. I might just have to try them now! I am incredibly lazy when it comes to updating my sidebar images, so please don’t let that worry you in future! Looking forward to a new discovery! Thank you; it is so easy to get caught up in a cycle of re-reading favorite ‘forgotten’ authors that sometimes we miss a gem right under our nose. Glad to have brought it to your attention! I think this is possibly the one book of Sutcliff’s books that I haven’t read. Now do please read the trilogy that begins with ‘The Eagle of the Ninth’ which has to be one of the greatest books for children ever written. The Eagle of the Ninth books are certainly the ones that appeal to me the most right now! I loved Sutcliff’s books as a kid, and I’ve introduced them to my kids now. I didn’t now about this memoir, so I’m putting that on my TBR list now. Wonderful. As a fan of her novels, I’m sure you’ll enjoy this even more than I did.